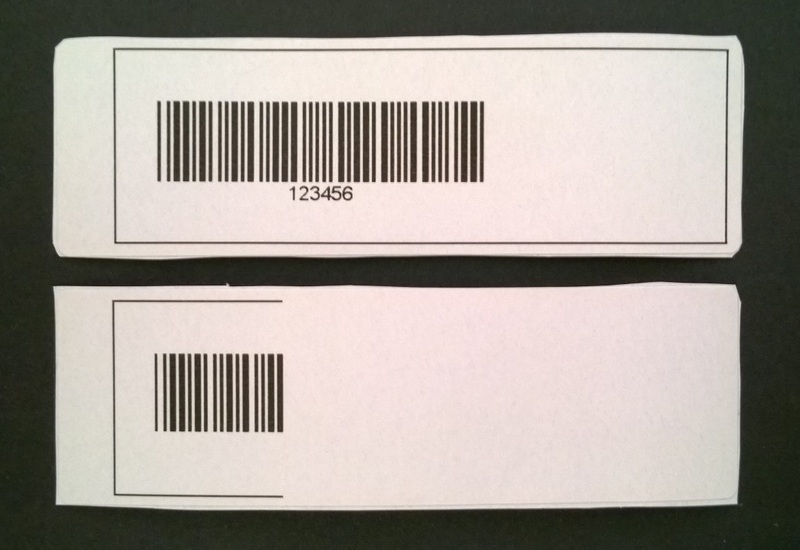 A lot of our SDK users are running into a particular issue printing barcodes where they will be clipped or not printed at all. The issue is actually being caused by a bug in the .NET Framework (v4.0 and newer), specifically in XPS printing. 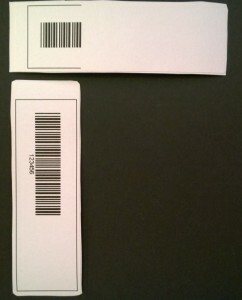 The trigger for the issue is when our printers go into “Barcode and graphics” mode. Unless manually overridden, the DYMO SDK will switch the printer to “Barcode and graphics” mode whenever a barcode or image object is present on the label. When in this special mode, the resolution of the printer changes from 300 x 300 DPI to 300 x 600 DPI. This “non-square” resolution is not handled correctly by XPS and causes the clipping issues. Below is an example of this issue. The label on top is OK while the label on the bottom is printed with the issue. What you may notice is the label with the issue stops printing at a distance across the label that is equal to the width of the label. This is the crux of the XPS bug and as you can see, also affects other label object types as well. Design your label in portrait orientation. 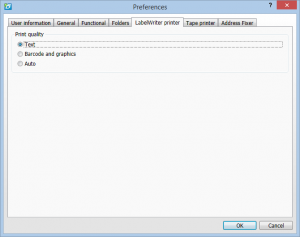 For most label types, the issue will not arise if the label is printed in portrait orientation. By using the object rotation feature in DLS, you can easily design a label in portrait orientation that will look identical to one designed in landscape orientation. Compile your SDK applications against .NET 3.5. As mentioned earlier, the issue is with .NET Framework versions 4.0 and newer. Current versions of DLS are compiled against .NET 3.5 so you will not see this issue when printing from DLS. However, if you are compiling your SDK application against newer versions of .NET, when your application runs, the newer version of the framework will be loaded. Even though the DYMO SDK binaries are compiled against 3.5, .NET backwards compatibility will kick in and the newer version will be used instead. So, to take this approach, you will need to compile your SDK application against .NET 3.5. Thanks for bearing with us on this issue. Rest assured we are working hard to get the fix out. 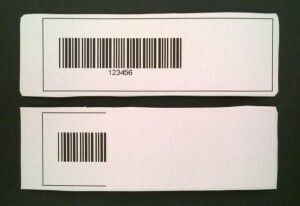 In the meantime, we hope this blog post will help you get your labels printing correctly.